3003 aluminum strip is commonly product in the 3000 series of Al-Mn alloy. Because of the addition of manganese in the alloy strip , it has excellent rust resistance. 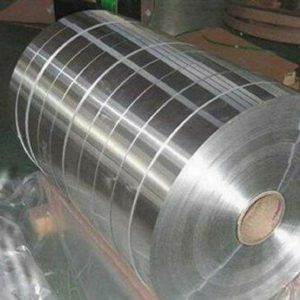 Therefore, the 3003 aluminum strip is the most widely called antirustaluminum strip . As one of the representative products of haomei Aluminum, it has been widely used in many fields due to its good properties. 3003 alloy aluminum strip in the construction industry is a very cost-effective roof, wall materials, in the comfort, light, durable, economic, environmental protection and other aspects played an important role. 3003 alloy aluminum strip after coating due to moderate structural strength, weather resistance, resistance to stains, easy bending welding processing advantages, the service life can be more than 50 years, is widely used in airport terminals, aircraft maintenance library, station and large Transportation hubs, public service buildings, large shopping centers, commercial facilities, residential buildings and other roofing and wall systems. At present, haomei aluminium produces 3003 alloy aluminum strip not only for the majority of customers with optical aluminum, but also to provide customers with follow-up polyester and fluorocarbon coiler coating, less intermediate transfer processing, for customers to save A lot of time and cost. Good quality and preferential price is your best choice. This entry was posted in aluminium strip and tagged 3003 aluminum strip. Bookmark the permalink.